Wouldn’t it be fantastic if we could all get paid to go on holidays, wear nice clothes, and test out new gadgets? Oh yes. You may have noticed the growing number of people who seem to be doing just that. People who draw you into their lifestyle through platforms like Instagram and YouTube. Some of them seem just like you - so much so that you can imagine yourself doing exactly what they’re doing. The term ‘instafamous’ is being thrown around more than ever before. Have you ever wondered how those people get paid? Hint: It’s not by Instagram, just paying them to have heaps of friends. It’s by brands and businesses that want exposure to a digitally active, worldwide audience. If chasing the lifestyle of getting paid to holiday isn’t up your alley, you can at least use the people that do to your advantage. Influencer marketing has developed alongside the growth of social media as a popular way to reach a targeted audience of people who are actually seeking out products like yours. This is the marketing of the new world. The way that the general population consume media, particularly in the digital sphere has made way for new kinds of marketing. People don’t like being advertised to, so methods have evolved for advertising that doesn’t feel like advertising. Influencer marketing is when a brand or business partner with an influencer in order to promote their product or experience. An influencer usually takes the form of a popular blogger, instagrammer, youtuber or anyone else who has built themselves a large digital following. This large following is what makes this person an influencer. They have built an audience who are constantly being influenced by what they post or talk about. The marketing part happens when the brand offers compensation to the influencer in return for their showcasing of a specified product. 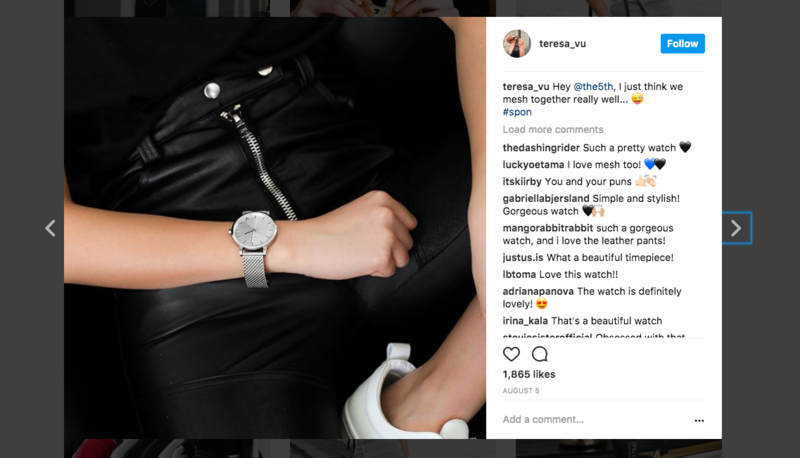 When this social media personality uses their influence (or massive following) to talk about how great your product is, or even just shows off how great they look in their new watch/dress/sneakers/car - voila! You have influencer marketing. Influencers are people who have done social media right. We’ve talked before about how social media is a place to strengthen your personality and build a community. People who have done well on social media to the point where they are influencing a huge audience, have done exactly that. They have built a strong following of people who are genuinely interested in their lifestyle, what they do, what they wear, how they act. They are engaged in conversations with those influencers and also with the other followers who are part of that community. This community trusts the opinion of the blogger or Instagrammer, that is why they have chosen to follow them. This trust means that people who see your product are more likely to buy it, sometimes without even doing any further research. People will buy a product just because the influencer has endorsed it. We mentioned earlier that people hate being advertised too. This is proved by the mere existence of ad blocker software. Influencer marketing essentially allows you to continue advertising even where an ad blocker is present. People feel more comfortable with being shown a product by someone they trust, and less like they are being advertised to. With the advancement of digital media and the way that we consume information, marketers have had to get smarter about the way they reach their intended audience. 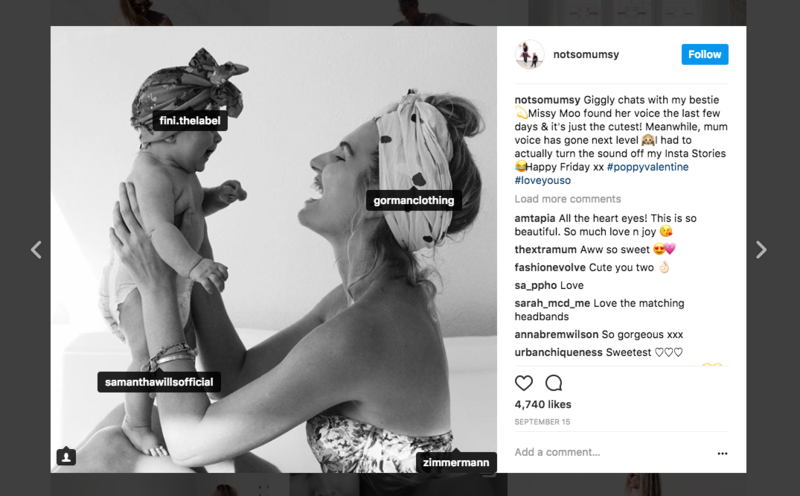 Influencer marketing allows brands to reach an audience that is able to really connect with their product. People crave connection and want to know that the product they buy is going to suit their needs. Ads are not able to provide the same sense of connection as a recommendation from a trusted source can. @neverlandboys.co is two Australian guys, travelling the world, partnering with brands and businesses as they go. This is a campaign they did with Sony Australia. 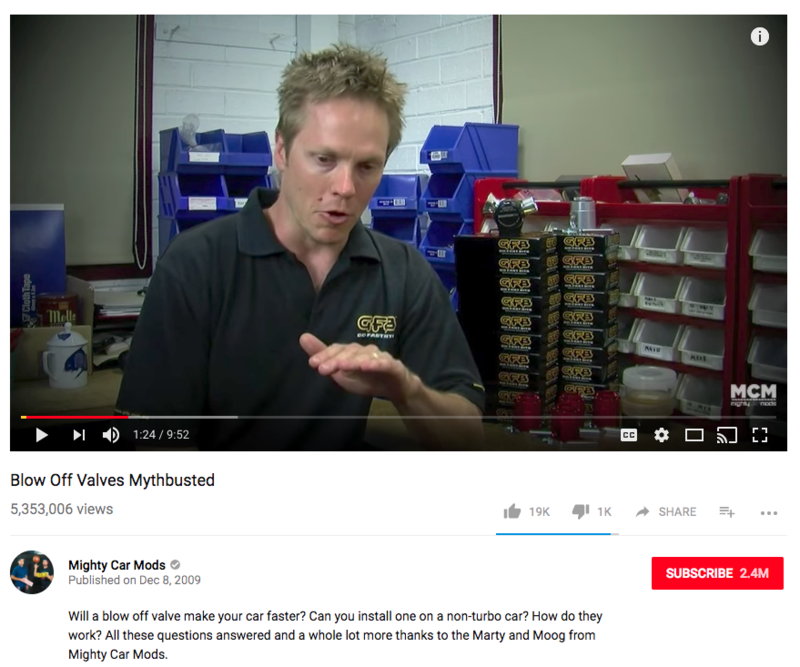 Mighty Car Mods is a popular Australian YouTube channel about two blokes who - funnily enough - love modifying cars! 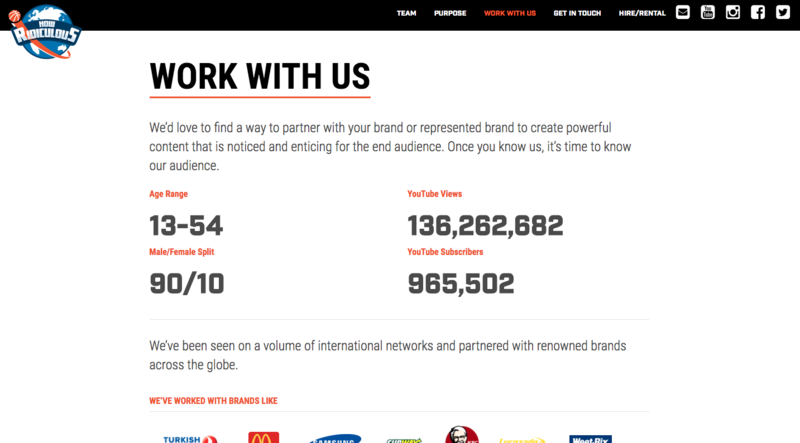 They often partner with businesses and brands in the making of their videos. @teresa_vu is a fashion Instagrammer who regularly features brands through influencer partnerships. 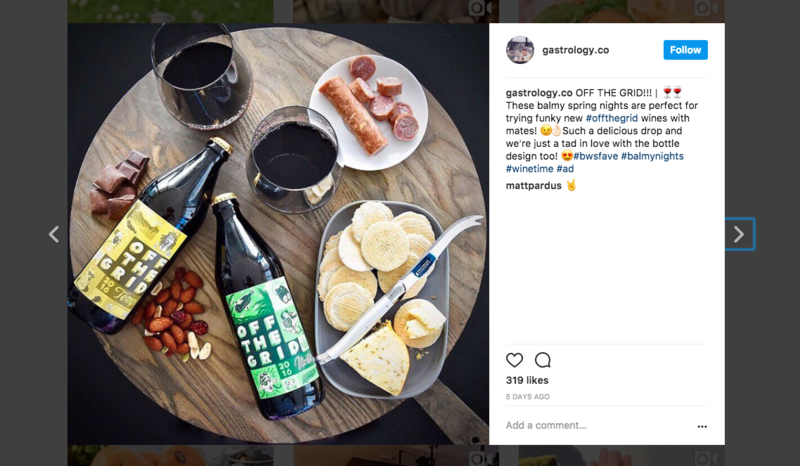 @gastrology.co is all about food, often getting to show off tasty new products through partnerships with brands. How Ridiculous is a YouTube channel by a group of three Australian blokes who take go around the world breaking records. They do this solely through partnership with brands and businesses. Tourism NT often partners with influencers in their campaigns. 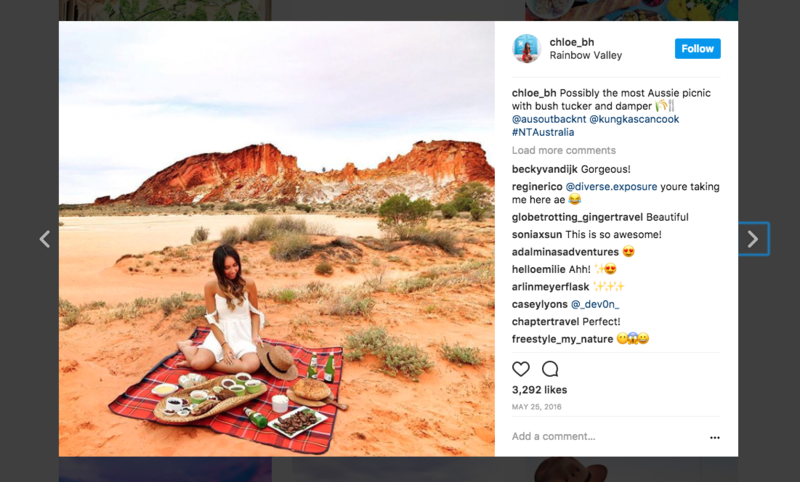 Here, Australian travel Instagrammer, @chloe_bh did a trip through Central Australia with them, @kungkascancook got a special feature in this one too! Some local Alice influencer marketing for ya! Last one! How could we resist showing off some Aussie dog influencers?! 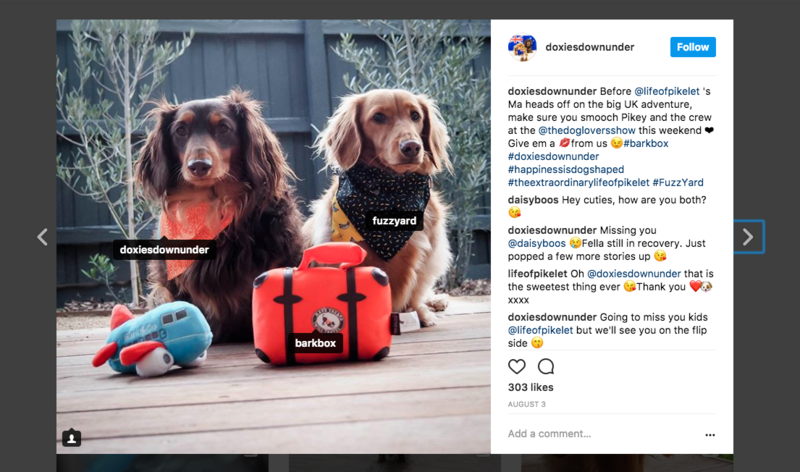 @doxiesdownunder are two pooches who have a big influence on the dog lovers of Instagram. Influencer marketing is a subtle way to push your brand out to a wider audience. Having the trust of a large community of followers gives an influencer the ability to promote a product without even saying anything. This new way of marketing is a great way to make your product or business relatable to the customers you are hoping to attract.